A little corner for pampering paradise in Birmingham Michigan. Set in the quiet and assuming building across from the Big Rock Restaurant and The Reserve. 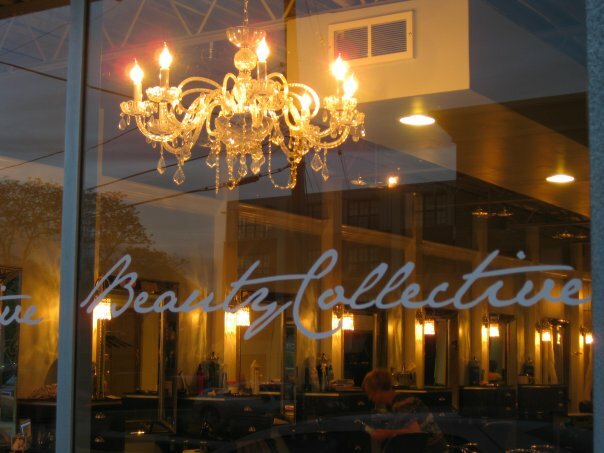 Beauty Collective hair salon is one of Birmingham’s best kept secrets. Come in for a haircut, color and styling. This is the place to unwind and be pampered. Treat yourself to a manicure / pedicure or one of our other spa services. Beauty Collective can take care of all your extra beauty needs with our full line of professional hair care products – so your color and style can look as fabulous as it did when you walked out of the salon. Please feel free to stop in or call to book your next appointment. For all your events and the extra special moments in your life we will really make you shine! For your special occasions we can help you put together a stress free package filled with ways to treat yourself and your loved ones to a day of beauty – guaranteed to leave you feeling refreshed and looking your absolute best. Please contact Beauty Collective Hair Salon in Birmingham Michigan at 248-792-6563 to inquire about how we can customize a special package just for you.